Welcome to the Oklahoma Bass Nation High School Trail. Our team trail consists of five tournaments in which teams will be awarded points based on their finish in each tournament. 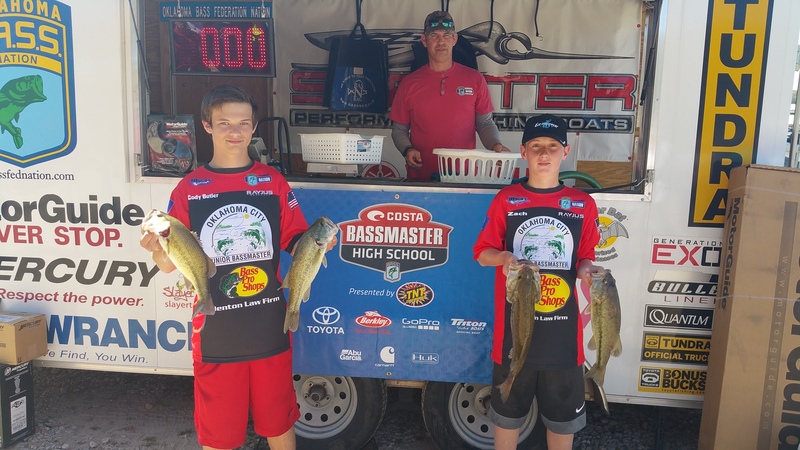 After five tournaments we will take each teams best four scores from the five tournaments and the top team will advance to the 2017 Bass Nation High School National Championship in the summer. Click HERE to get registered for Eufaula!! Please get registered by March 25th. Any entries received after this date will not be included in the draw and will be placed in the last flight. All competitors 16 years or older MUST show their fishing license at check-in. 2019 season is upon us! We need everyone to get their online rosters updated and new people added to your roster. It will be another year with a lot of fun things to come. Meleah Meadows is the Youth/HS Director for the OBN. Nothing should change as far as how things have been running. We are very excited about the new year and look forward to seeing everyone in 2019. June 25, 2016 - Oklahoma Bass Nation hosted our 2016 OBN High School State Championship at Lake Keystone. 40 high school teams from across Oklahoma battled the heat to compete for a state championship and the hopes of qualifing for the national championship. First place went to the Mannford # 2 team of Garrett Baker and Gunner Baker with a four fish limit of 15.69 lbs. This team qualified for nationals by being the team trail runners up.Second place and earning a spot in the national championship was Broken Arrow # 1 team of Eric Noyes and Mikey Riess with 13.94 lbs, third place and also qualifying for nationals was Kiowa High team of Noah Belt and Lane Couch with 13.63 lbs. Good luck to all our national championship qualifiers including the team trail champions Central Oklahoma # 5 Kaden Knoch and Jake Keenom. 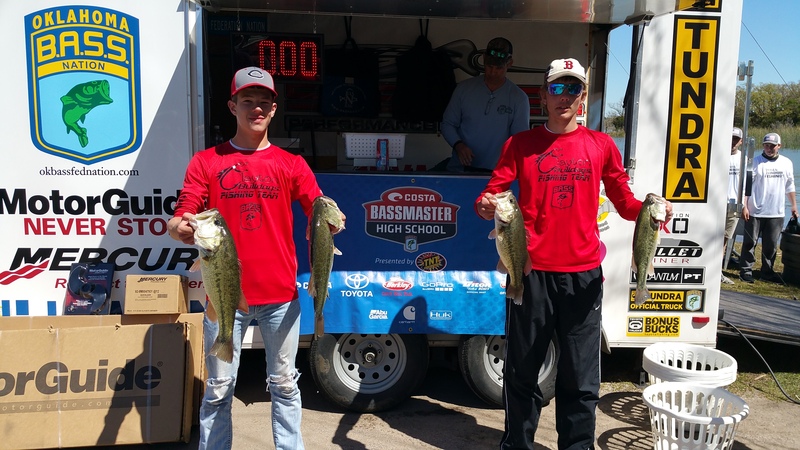 Qualifying through the Bass Nation High School Open was Eagle Anglers Taylor Hamburger and Sterling Shine. Congrats to all our Oklahoma High School anglers!! Congratulations to Oklahoma's Jacob Keenom and Jake Biram on being named to the 2016 class of Bassmaster High School All-State anglers. Students are selected for the honor based on their competition success, academics, leadership and community service. Keenom is a member of Sooner Bassmasters but also competes on the High School level as a part of the Central Oklahoma High School team. Biram fishes with the Central Oklahoma team as well. Good job guys!!!! !